The European Parliament may approve radical reforms to the controversial EU Common Fisheries Policy later. MEPs will vote on a timetable to stop crews discarding unwanted fish - a common practice under current quotas. They will also decide on long-term plans to protect stocks from overfishing, and whether to allow fisheries management to shift to a regional level. A fishing alliance, Europeche, says the reforms are too sudden and too radical. With an estimated 75% of Europe’s stocks overfished, there has been enormous public and media pressure over this latest attempt to shake up the CFP. The reform package before the full parliament follows a Fisheries Committee report by the German Social Democrat MEP Ulrike Rodust. She said the reforms “will bring an end to the December ritual of fisheries ministers negotiating until 4 am, neglecting scientific advice and setting too high fishing quotas. She said fishermen had to be helped through a transitional period as fishing capacity shrank to allow stocks to recover. Spanish MEP Carmen Fraga of the centre-right European People’s Party (EPP) is leading opposition to the proposals. The EPP says the discards ban should be studied further, as boats are not equipped to measure or store all the fish they land. The party - the biggest grouping in the parliament - maintains that the proposal for catch limits from 2015, so that stocks can recover, is “rigid and unrealistic”. 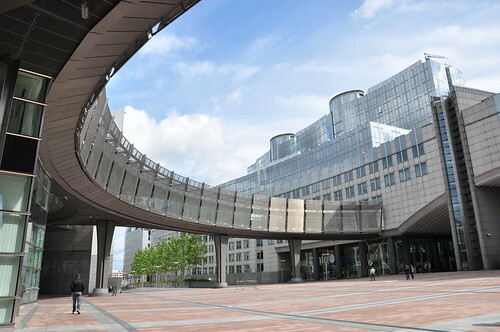 The EPP urges gradual implementation by 2020. This vote in parliament really matters because MEPs are sharing power on the issue for the first time. Agreement does look possible on plans to support small-scale coastal boats, by awarding them extra catch quotas if they fish sustainably. There also seems broad support for devolving fisheries management to a regional level – an issue promoted by the UK. Its Fisheries Minister Richard Benyon has written to MEPs, saying: “The reform is a unique and long-awaited opportunity to address the failings of the past. For environmentalists this reform will be one step in a journey: they want fisheries to recover to something approaching the level where they once were. That would take policies far more radical than these, as one study suggested that over 118 years of industrial fishing, the productivity of one fishery in the UK dropped by 94%.